The story revolves around three cousins, Krishnan P.P. aka ‘Kuttan’ (Nivin Pauly), Arjun aka ‘Aju’ (Dulquer Salmaan), and Divya Prakash aka ‘Kunju’ (Nazriya Nazim), who have shared a close bond since their childhood. Arjun, whose parents are divorced, is a bike mechanic who lives his life on his own terms. Kuttan is a software engineer whose heart and soul is back home in his village. Divya has completed her graduation and aspires to do her Master of Business Administration from Indian Institutes of Management but is compelled to get married to workaholic corporate executive Shivadas aka ‘Das’ (Fahadh Faasil) because of her parents’ astrologer’s suggestions. After their wedding, Divya moves to Bangalore as Das is settled there. Kuttan does the same for his job while Arjun joins a biker gang as a mechanic in the same city. Divya feels emotionally alone as her husband Das continues to ignore her. Her only solace is the time she gets to spend with her cousins Aju and Kuttan. Naive Kuttan, who wanted a traditional, modest, saree-clad girl for a wife, falls in love with an air hostess called Meenakshi (Isha Talwar) on the Bangalore to Kochi flight. They date and Kuttan changes from a reserved and shy person to a trendy person to impress her. But his dreams are shattered when her ex-boyfriend arrives at her flat and he realizes that she was only trying to get back with him. He breaks off his relationship with her. Divya and Das’s personal life keeps falling into despair. After an argument one day, Divya, upon inspecting a room in their apartment that Das never lets anyone enter, is shocked to find it filled with photos, knick-knacks and possessions of a strange girl (Nithya Menon). In horror of not having a place in Das’s heart and life, she leaves Das and returns home to Kerala in sorrow, with Kuttan. 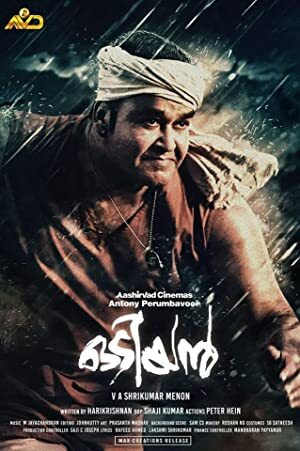 There they are still pulled into despair as Kuttan’s father has abandoned his rich family and gone for a permanent pilgrimage, willing all his wealth and its rights to Kuttan and his sister. Kuttan has to bring his mother to Bangalore, after she convinces him to. Arjun was a bike racer but due to a foul incident, he is forced to serve a one-year ban from racing. He falls for a radio jockey named Sarah (Parvathy) but when he finally meets her in person, he finds that she is a paraplegic. He begins to like her attitude and also follows her. They became good friends but Arjun is saddened when he learns that Sarah is to leave for Australia on a university scholarship. Meanwhile, as Divya and Das are in the middle of getting a divorce. Arjun learns that a few years back, Das was a former bike racer. He then went by the name Shiva and was the leader of his biking gang. Shiva had given up on racing after he was involved in an accident that killed his love Natasha Francis (Nithya Menon). Upon knowing what happened, Divya decides to return to Bangalore and takes up her MBA while staying in the same house as Das. She gradually wins over a repentant Das and arranges for him to meet Natasha’s parents. After the meeting, Das is able to let go of his past. Divya forgives him and they get their marital life on track. Kuttan’s mom gets to know about the urban Indian culture with her neighbours and after 3 months decides to visit her daughter in Oklahoma, USA. In the airport, Kuttan and his mom see Meenakshi, who will be an air hostess in Kuttan’s mom’s flight to London. Meenakshi approaches Kuttan and reveals that her relationship with the old boy friend has broken permanently and she will be waiting for his call. Just seconds after that, Kuttan goes by and talks with her. Though what he says is not revealed, it is clear that he replied in the negative and he tells his mom to board the flight. Arjun gets a chance to race on the same day that Sarah has to leave for Australia. With Divya, Kuttan, and Das cheering for him, he wins the race. After the race, Arjun realizes how important Sarah is to him and that meeting her changed his life. He asks her not to leave for Australia. Sarah forgoes her scholarship to stay with him in Bangalore. In the end, Kuttan gets married to his neighbour in Bangalore, a foreigner named Michelle (Paris Laxmi), a European Bharathanatyam dancer. Who has embraced the culture of Kerala. The film ends with Divya, Das, Arjun, and Sarah breaking into their room and all of them posing for a photo. Nivin Pauly as Krishnan ‘Kuttan’ P.P.